Your wedding day is a time to celebrate you and your spouse but also to share with family and friends the things that mean the most to you. Many couples use their ceremony or reception to show their personality. Here are a few suggestions to show off your peach state pride on your big day! 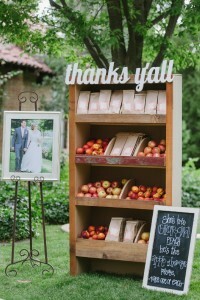 We love this idea of incorporating fresh fruit for your guests to take home. What better way to show your peach state pride than with a peach? You can’t say “Georgia” without thinking about Coke! 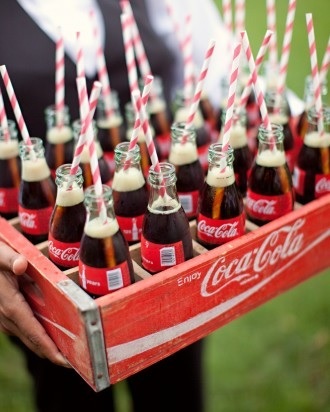 Give your guests a taste of the south with old fashioned glass coke bottles. 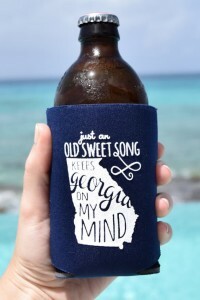 Send your guests home with a “Georgia on my mind” koozie. 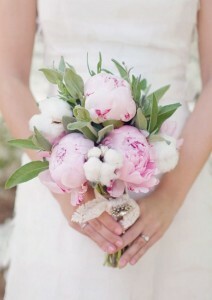 For a unique (and beautiful) bouquet, add raw cotton which is also one of Georgia’s top crops! 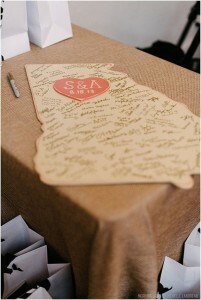 Instead of a traditional guestbook, have your guests sign a Georgia “guestbook” that you can display in your home. For more wedding tips, visit our website. This entry was posted on Friday, February 27th, 2015 at 6:41 pm	and is filed under Weddings. You can follow any responses to this entry through the RSS 2.0 feed. Responses are currently closed, but you can trackback from your own site.